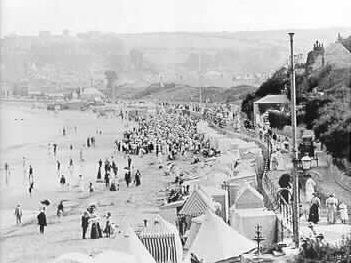 A crowded beach scene in Swanage Bay, typical of the Victorian and Edwardian eras. 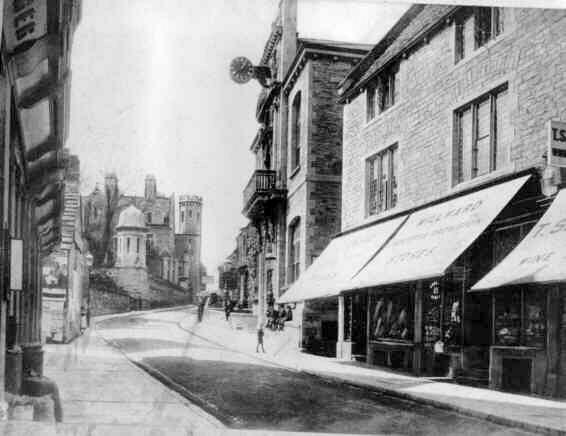 An Edwardian scene showing lower High Street: far left is Hixon's Agency. Later this fine building became the famous Trocadero Restaurant. 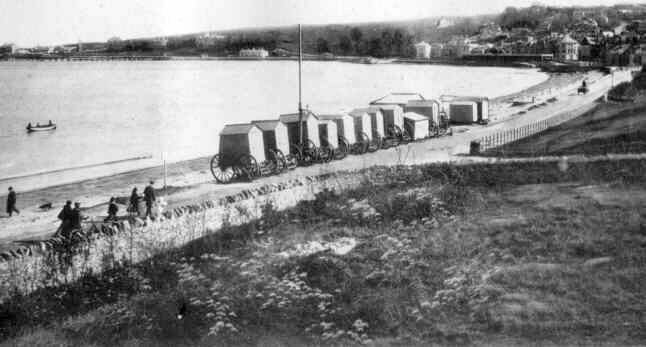 In the centre of the picture is Victoria Terrace, with John Mowlem's Observatory seen above the roof tops. 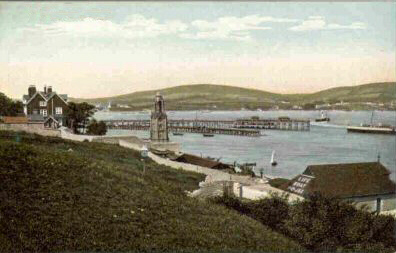 Far right is the Ship Inn. 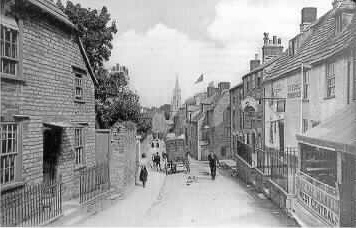 The town pump, above Church Hill, c1907. 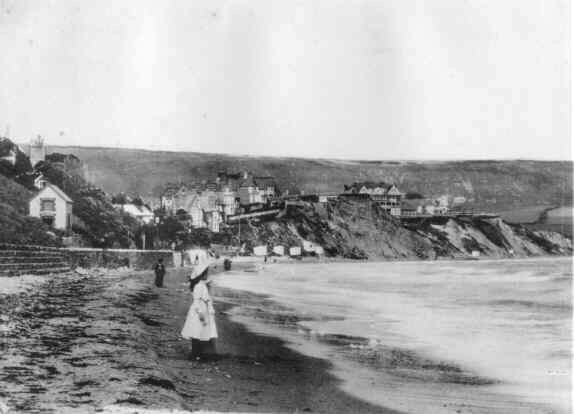 The cottages near the church tower were demolished after a bombing raid during the Second World War. The house fronted by the steps and railings bears the date 1793. 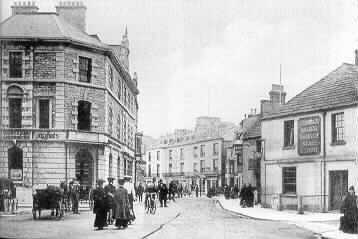 Upper High Street, 1906, with the Black Swan on the right and in the distance the spire of the Methodist church. 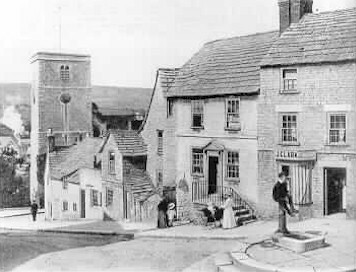 Note Cleall's horse and cart from Corfe village. 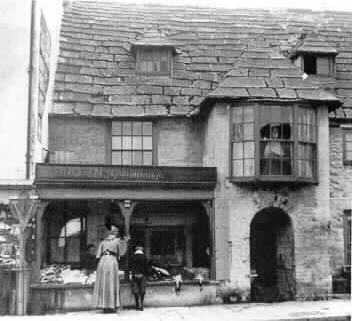 Brown's Fishmonger Shop. 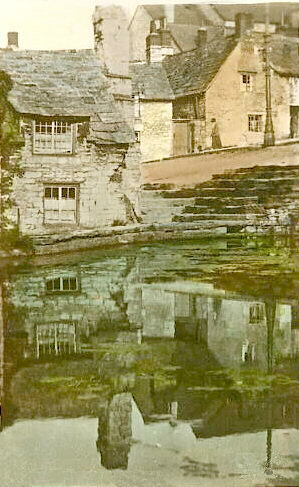 The original 16th/17th century building was demolished in 1908. 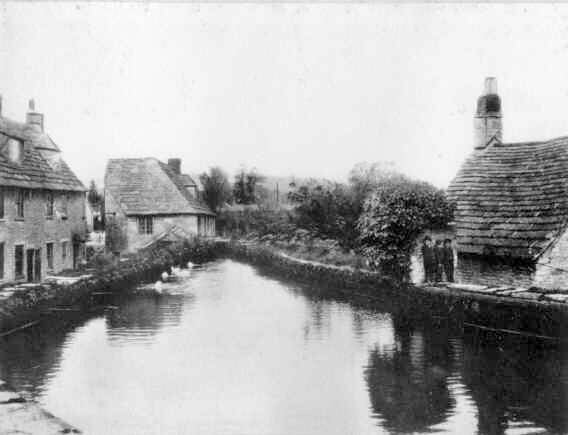 The birth place of Robert Burt senior and William Masters Hardy. 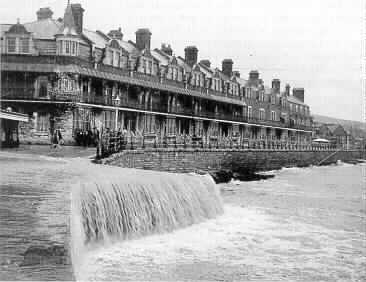 The Parade during the floods of 1935, with the water pouring over the public slipway. 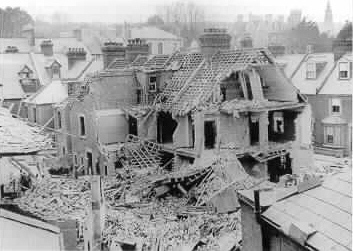 Bomb damage in Cornwall Road, during the Second World War. This raid on 20 April 1942 also badly damaged Station Road and killed five people.